This Columbia White Dot Slime ball is great for any bowler to have in their arsenal! Whether you're a beginner or a pro, grab this White Dot ball today and use it to make those pins fall! Can this ball be used by a left handed person? Hello, yes you can put in the customer comments that you are a left handed bowler. Hi Chico! The Columbia White Dot Lime Slime is recommended for any type of lane condition. Hello! If you click on the select weight you will see the weights offered. This particular bowling ball comes in 6lb-15lbs. 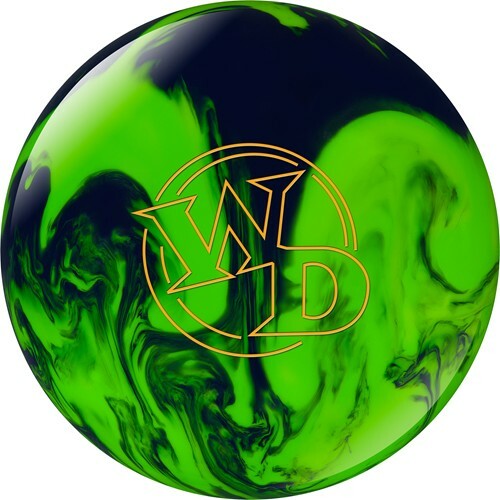 Would you recommend this as a strike ball? Hello! No, I would not recommend this for a strike ball. It is polyester, so it is more for rolling the ball straight down the lane, not really for hooking the ball. Hi Rick! The bowling balls do not come pre-drileld, unless you purchase the option for drilling which in this case would be basic drilling which is $14.95. Hello Rob. This is a polyester ball. This ball will not have a finish on the cover stock. This ball is a plastic/spare ball that will only bowl straight. My wife is just starting to bowl and she bowls straight. Would this be a good ball for her? Hello. This ball will be great for bowling straight. Most plastic/spare balls will only bowl straight. Hi Austin! The Columbia Lime Slime is a spare ball and will only bowl straight. I'm wondering if this ball will be good for beginner bowlers. I'm looking for a ball that will help me get strikes. I bowl straight. Yes, this is a great ball for beginners! Due to the time it takes to produce the Columbia White Dot Lime Slime ball it will ship in immediately. We cannot ship this ball outside the United States.